Rumour has it the Oilers scouting staff where looking at picking Murray the defencemen or Galchenyuk the centre,they did not need another winger when they picked Yakopov,this is what happens when ownership steps in and over rules the scouting department. Rumor has it, this rumor is a rumor. You beat me to it, and with eloquence. Rumour has it that this is BS. As mentioned, seems a foregone conclusion that Purcell gets traded. Assuming so, I agree with sticking him with Lander until the 2nd line spot opens up. Then it’s on you to make chia have to make a tough decision. Let’s get right to the point. Nail Yakupov shouldn’t playing, period! Has Letestu created a single play this year where he set up a line mate for an opportunity to take a shot on net for a good scoring chance at even strength? He has 2 assists at even strength and I never see him hold onto a puck and create anything in the offensive zone. Letestu’s offensive zone touches each night are on the PP when someone makes the mistake of passing to him and within 1 second the puck is heading back into our zone. Absolutely agree, Letestu is the worst kind of player to put with a player like Yak that needs to shoot and shoot often. He is never going to shoot on anything more than a rush he creates himself playing with Letestu, and very few players can consistently do anything all by themselves in the NHL. Yak is going to get his chance next year. His trade value is zilch. If Ebs and Teddy are both gone this summer that cleans out the right side. The dream is that we can get a top 4 D (for Ebs) and our young guys take it up a notch back there. Davidson, Klefbom and Nurse all look good. If Reinhart can figure out how to play like he did with the Oil Kings he may be in the conversation. I hope PC redeems himself and unloads Letestu and Korp for a couple of 5th round picks. As someone else pointed out, the notable missing center in the list is Dri. Maybe after deadline they no longer need to showcase Purcell can Yak finally get a break. Maybe it’s more about putting him in a position that is best for the team and not the individual. Which means very few minutes. Even if those minutes result in the team getting clobbered in the shot dept. I sure like the sounds of a Kassian-Letesu-Hendricks line. I guess that leaves Yak playing on a different team? Probably the best thing for all parties involved to move on. All the praise given’ to the coach for his past achievement’s is starting to bother the crap out of me. Watching Yak relegated to a 3rd or even forth line roll grinds my gears. Mark Letestifhehasapulse in front of Yak on the PP is crazy. The talking heads on CHED and SN talk ad nauseam about the need for a one time release on the PP. When Ralph was the coach he used his players in positions to succeed but Todd seems to continue to play the plugs??? Is it just me? Does the rest of the fan base not see that players are being slotted in to areas that don’t make a ton of sense. You have a first overall pick wasting away and I blame the inability of the coaching staff. Yak could have been the star we all hoped he would be. But regime after regime keeps playing the guy will AHLer’s. There are more positives than negatives moving forward but please for the love of God play Yak instead of Teddy. Teddy is all but gone so whats the harm. We’re not making the playoffs so experiment a bit. Bit of a rant. I’ve had a couple of adult beverages with some friends from Chicago. They roasted me for 2 hours. Can u say blistering slap shot one time omg. Even the announcer was surprised. Trade griffin reinheart back to nyi. Get nyi 1st and 2nd rounders and it would be the biggest steal in nhl history. For whatever reason that Russians took a bit longer to develop and for whatever reason that they also don’t get a lot of chances from the get-go. Most of the Russian players hit their prime between age of 23~25, Russians do get held back more than any other nationalities for whatever the reason. So Yak is 22 as for now, and if peoples can be patient about it then he still have a chance to break out during next 2 years. The expectation for Yak due to he was No.1 pick gets a bit overblown. Unlike most of the other No.1 pick that they usually don’t have competition for their position that Yak was third on depth chart behind Eberle and Hemsky. Also only Forsberg has looked better from that year’s draft but Forsberg also got more chances due to the lack of offensive talents that Preds have. The reason why Krueger was able to maximize Yak’s talent by having third line minutes because he was playing and coaching in Europe for many years that he understood the strengths and weaknesses of Euro type players. Yak has a very tough start of his career, he has to compete for position, he has to deal with egotistic coach used him as sacrificial lamb. He reacted once and everyone just jumped on him for being whiny. Do you have comparable example to back the claim that Russians take longer to develop? My gut tells me your right… But Malikin tells me your wrong. Both Ovechkin and Malkin came in league a year later due to lockouts but they were a freak of nature. Otherwise for players like Kuznetsov, Panarin, Kucherov, and Tarasenko were hitting the prime around 23 (Panarin is 25 years old rookie). There’s a small problem in the “he’s not getting a fair shake because he’s Russian” argument. Unlike everyone on your list except Kucherov, Yakupov came up through the CHL…which puts him at six years of North American experience and helped him to the #1 overall draft ranking. Does he have talent? Of course. But his modest results in the NHL including short burst of scoring and prolonged droughts every year, show his game – not that of his line mates – is too inconsistent to trust with regular top minutes. His speed is great in a skills competition, but is not evident in game settings. His shot is hard, but inaccurate and when he does use it on the rush, it tends to be a long-range wrister that won’t beat an NHL goalie, who then smothers it for a face-off so there aren’t rebound opportunities. The biggest disservice this team has done to this player isn’t his line mates. It’s keeping him in the NHL to drown instead of sending him to the AHL to develop his professional game and build personal success against higher quality competition than he faced in Junior and developing his defensive game. By mishandling this aspect of his development, they’ve stunted a player and a trade asset long before Nelson, McLellan and Chiarelli got to work with him. As for his success under Krueger…he had two games that season over 18 minutes and eleven games over 16 minutes, so he was still able to produce with lesser ice time. If he’s not going to be productive and create scoring opportunities with his talents in his current ice time, I see no reason to give him premium TOI to do more of the same. Yak will get top line minutes even if he has to play on his off wing when Purcell is traded at the deadline.They may be padding Ebs stats for a trade(as mentioned). Just because Chiarelli hasn’t blown-up this team yet, doesn’t mean he won’t. We all watched how he built the Big Bad Bruins and the Oilers are not Chiarelli’s style. Changes,BIG changes are coming. McDavid, is the ONLY player that really wants the puck and does all he can to get it back or keep it(just like Gretzky). If all our roster had his heart we wouldn’t be in this mess.Lazy is another word to describe our team. Why else are we losing all the board battles for the puck to smaller forwards? I agree, Purcell is almost certain will be gone as late as trade deadline, Eberle is definitely on the block if Chiarelli can get a very good return. Playing Eberle with McDavid help Eberle’s trade value that he will get a very nice return for at least first round pick and some top tier talents. However it is unlikely that Eberle will be moved before the end of season. Mark Letestu should not be playing with Mark Letestu. So there. Purcell and possibly one other top 6 (along with draft picks) will not be with this team come next season and I expect a top 2 right D and, hopefully, second pairing right D in return. Yak will be needed to fill in the top 6. Is he an Eberle or RNH who are the most talked about rumors. Absolutely not so there will be a downgrade in our top 6 but I still believe in him and our D has to be fixed. He can skate and shoot so paired with McDavid he could be great. Great piece. If the plan is to trade Yakupov, then he should play with McDavid. If the plan is to give him another year, then they should trade Purcell asap, and try him with Hall and Leon. Need to find out if he can play with anyone besides McDavid and produce. Arizonia dumping the Korpikovski contract has to be up there as one of the top moves of the year. Not really though…Yotes are an extreme budgeted team, they actually pick up bad contracts (like Pronger) just so they can meet their cap floor. Yotes will have near 51m cap space by deadline compare to Oilers 14.8m. I was saying, Yotes have a little reason to get rid of Kopri’s contract because they need some of them to get on the cap floor. I watch Yak a lot to see what he is doing. Sure he has warts but when put in a good position, he excels. I watch him now with his current linemates and they’re not to be seen. Yak drives the net a lot. And he fails to finish. That is on him. He doesn’t have Eberle’s or McDavid’s hands but there are rebounds. Where’s his support? I see him skate behind the net and throw it directly in front of the goalie yet no one is around because they’re all hanging out at the blue line. That’s not his fault. At some point, it is about who you play with. With McDavid, Yak was getting it done. With Roy, he was good but not great. With Letestu he’s road kill. Yak is a complimentary player. But so is three quarters of the NHL. The fans are just all over him because he was the #1 overall draft pick. If he was drafted in the 3rd or 5th round, would we still complain this much? I doubt it. It’s up to the Oiler to put him in a position to succeed. And clearly, they’re not. I hope that changes because I think there is a player there. And if he ever gets it going, he’ll be fun to watch. 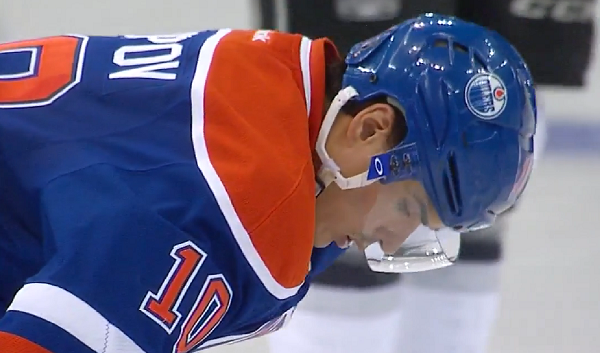 The Yakupov situation is really representative of the sort of culture that needs stamping out. To borrow the Flames tagline ‘earned, never given’. What exactly has Yakupov done to deserve top line minutes? Why do so many insist he has a right to a top line spot just because of being a top pick. If he was a top pick talent he would have played himself up there by now. The hard truth is he’s not that player. ‘Earned, never given’ is one of the biggest lies in NHL. Majority of NHL players that start off from juniors have their own clique between each others families. You think that it is pure coincidence that quite a few of them came from the same family? Hockey is and will always be, a family business. What has Eberle done to deserve and be gifted top line minutes? What has Eberle done? 320 points in 400 NHL games, that’s what. A.H.
Are you kidding? How many goals has Eberle scored with McDavid compared to Yak for starters? Eberle didn’t produce very well all season with Draisatl or Nuge but he has with McDavid. He has scored more than Yak, but there was only one of those goals that wasn’t a tap-in. John Scott could have scored almost all of those goals. I would say that Eberle excels in open space, which is why he looks great 3-on-3. But other teams know that too, which is why guys like Buff know to take away that space and shut him down. So uh how did he score all those points before mcdavid came? And seriously you are going to say all those goals were tap ins? Maybe it’s cause he was in the right place at the right time? Eberle has some pretty solid numbers without mcdavid, yak does not. This season has been a slow one for eberle but he is still a good offensive player. Also for all those suggesting yak has spent his entire career playing with third and fourth line players that is simply not true. He spent plenty of time playing with Hall, eberle, rnh, etc and wasn’t producing at a level a top six forward should. It doesn’t matter if he scores more points with more minutes given when he is a defensive train wreck. Right on. And to add to that Ebs is our best shoot out guy. Yak has a long way to go to be compared to Ebs. Maybe its time to stop spoon feeding Yak. Either produce or get rid of him. Are we going to go through the whole NHL to find someone to play with Yak. He has had lots of time to bring himself out of his slump. I don’t think he is an NHLer. KHL is better league for Yak. Lets move on. So, when did they even start spoon feeding him anyway? 21 out of 227 career games are actually played for more than 18 minutes. Not even 1/10 of his total career, so much for spoon-feeding. I think that Yak needs to find the silver spoon out from inside his Canadian teammates’ mouth. If he hadn’t been such a defensive mess he would have played a lot more. And when he was getting big min he was -30 for the season. I think his +- was the worst in the NHL. Its tough to know what to do with him when his stats look like that. Where do you put him? KHL. Huh…first, how many players during the last 2 seasons were not in minus? We are not talking about other players, we are talking about Yak. I would love to see Yak do well, but until he slows down abit and starts using his head he isn’t going to make it. No body wants to play with someone that cant think on their feet. Yak is the only oiler top pick that hasn’t been spoon fed easy minutes and good linemates. I haven’t seen anything since Yak was drafted that indicates he’s an NHL-level “sniper”. His one-timer is hard but is anything but accurate. It reminds me of a golfer swinging for the fences with his driver but can’t control it. Even though I love his hustle and attitude he has decent individual skills but doesn’t appear to know where to be in either the offensive or defensive zone. After four seasons he has to be able to pick some of that up himself. Putting him on the second line adds a serious detriment to whomever is on that line. 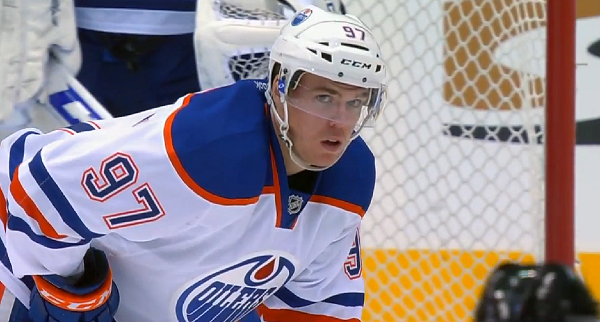 What does Yak playing with McDavid accomplish? The argument that he was getting points seems limited as he had a grand total of 2 goals playing with McDavid. Most of his points came from assists. Eberle is at least scoring. Yak should likely be playing on the fourth line until he can show more responsibility. Either that or he gets traded. It’s always been tough watching Yak get the short end of the stick, especially because when they do give him a centre he can play with, even one that isn’t even in the NHL anymore, Yak is capable of being a very dangerous player. Moreover, I think in addition to needing a solid centre, a different type of coach is needed for Yak. Both Kreuger and Nelson are definitely ‘player coaches’. They both were better at handling a young squad then any of the other coaches this team has had. 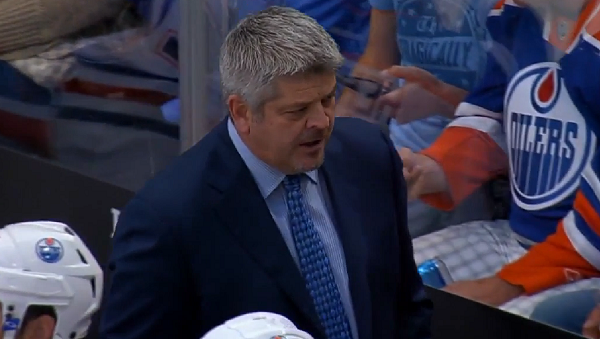 And while I’m glad the team has McLellan going forward, I can’t help but wonder what might have been under Nelson. I would love to say maybe Yak gets promoted with Purcell moving out, but somehow I think they just shift Draisaitl over to the wing and put Nuge back in at centre. By the way, any update on Nuge? This is getting out of hand around here. This isn’t junior its a whole different game. Its not from lack of talent. He isn’t smart enough to pick up an extra guy on an odd man rush going the other way. He will skate right past him. What is this year 4 and he doesn’t have the hockey iq to play his position correctly. The talent doesn’t make up for it. Unless he gets 35-40 goals he isn’t worth having out there as a liability. If Yak and Roy has so much chemistry last year maybe he should go and play with him in the Swiss League because his play is certainly not NHL worthy this year. I would kick the tires with Tampa on Yak + a defensive prospect and/or a draft pick for Drouin. Both players need fresh starts. Drouin’s value is dropping as he sits at home not playing, and sadly, Yaks drops as he plays alongside plugs. I like this idea except for the fact that Yak simply loves Edmonton, or at the very least has embraced it. He moved his whole family here, he’s crazy about the Esks. He does a ton of good for the community but not as a promotional thing, he just does it. I don’t think you get that same character with Drouin. LAnder was penciled in as 3C but failed miserably forcing their newly aquired 4C to move up to a position he wasn’t hired to do. I wouldn’t say Yak has excelled with Lander, 1.45/GPH in 44 minutes played. Basically Yak picked up an assist. I also wouldn’t call Letestu an offensive hole with 15 points compared to Landers 2 assists. The key is to bring in a 3C who has solid offence. I don’t see that happening this year as Nuge will probably bump Draisaitl to the wing when he returns to see what those lines look like going into summer where Chairelli has a lot of tough decisions to make. I agree 100% that Yakapov requires a skilled, smart centre to play with that creates the offense and allows Yak to finish or be involved in it. If he doesn’t get that, there is no reason to keep him as a more effective wing for that role can be found. Yak Faither – Yak was a #1 pick so he should get top line minutes. Sane Person – Yak should be getting more points for a #1 pick. Yak Faither – You can’t judge Yak on being a #1 pick! Is Yak so important we need to see the production of Eberle and McDavid decrease to boost Yaks numbers? The way I see it is we either trade him or keep him or let him bolt to the KHL. The only way we keep him is if he produces more then Ebs. As much as I like him he needs a fresh start like the one Phaenuf got(looks good for Ottawa so far). If we want more then a 3rd round pick for him then we need to boost his trade value. This season is already lost, what do we have to lose?? I just don’t think we can fool GMs by playing him with Connor. After the first 14 games with McDavid, were Oiler fans or fans around the league saying “wow, Yakupov has figured it out. He has turned his game around” or were they saying “McDavid makes Yakupov look like an NHL player”? I would go with the latter. No one thought Yak figured it out. He was still Yakupov. He was just Yakupov riding the coattails of a generational talent. Switch the player; if the Oilers put Korpikoski with McDavid, are people all of a sudden saying “Korpikoski: top 6 player” or are they saying “Korpikoski: slug riding the immortal powers of McJesus”? Alexander Daigle, Pavel Brendl, Nail Yakupov. Brendl yes, but Daigle. No way. I get your comparison but it is far from the truth. Daigle played over 600 games and had over 300 pts. Yak won’t even come close to that. He is a huge bust. Brutal player. Will be in the khl or nhl in 2 yrs and play there most of his career. That fact that he was compared to being the next Bure is like a car salesman saying a Camry will become as good as the GTR in time. Lol. How many times did Yak miss the pass from McDavid, whiff on a shot or just be in the wrong spot? Yes he scored goals with McDavid, but I think pretty much anyone could. Eberle and McDavid will score a lot more goals together because Eberle is a finisher. He thinks hockey and right away, he and McDavid were on the same page. I’ve wanted Yak to succeed and have cheered him on but he’s so frustrating to watch sometimes. 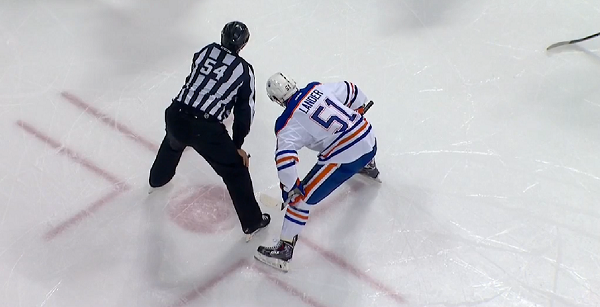 It’s like he’s in panic mode every time he’s on the ice. Um … How come yak can’t make the players around him better? Yak fans always claim he plays w/ bums! Shouldn’t a 1st overall make other players better? Yak is a bum! Later. Come on, are you just Gregor or Rishaug in disguise?? You know those so called experts who hate Yak so much and have this unhealthy love-in with Taylor Hall. One day we will get another sports station so we don’t have to listen to the drivel they spout day after day after day….I can only dream…I hope Yak gets traded soon so he can go to another team and get his career back on track. Zamboni Guy was right about one thing, Yak is a nice kid, too bad we don’t have more like him and less like Hall. Can you imagine how the fan felt who had Hall sign her hat with the words F**k Off? How dare that lady bother poor little Taylor for an autograph. Yak signed my grandson’s Oiler hat during an Eskimo game his draft year and he stood there for literally over half the game signing stuff for people until everyone single person was looked after. Can you see Taylor Hall doing that, I highly doubt it. It’s not that I hate Hall, I just don’t like him as a person and he is just about the stupidest hockey player who has ever worn our jersey.